Just in time for Spring and Summer 2018, Held GmbH is releasing more gloves to the American market through Held USA and giving us Moar Gloves! These are especially awesome because they are higher performance gloves for women who WANT BETTER GEAR. First up is the Air N Dry, $250 for a GoreTex XtraFit glove that features 2 pockets. One is where your hand will be totally dry, surrounded in the most breathable waterproof membrane. The other pocket allows the palm of your hand to feel airflow right through to the full palm of your hand and the full underside of your fingers. So this means if you're getting air, your hands aren't staying completely dry. Why is this useful? Well in mild winter climates like San Francisco, where you rarely get weather below 45F even in Winter, the glove provides plenty of wind resistance to keep cold air out for the most part. And then for the 2-3 weeks a year where the temperatures climb above 80F, you have a lower pocket that is fully perforated in case you need some airflow. However, for those of us who've decided to migrate over to the East Coast where it starts to get fully tropical in the summer months, these gloves are the perfect summer/wet weather companion. Here, it's hot and wet in the summer so your temperature range is constantly changing and you may need something waterproof (but not insulated/warm for winter) when it's 85F, Raining and Humid. The next glove they released is the Evo Thrux, $170. These are a track worthy glove, but also very much street friendly as well. The reason the palms are grey? You guessed it, Kangaroo leather. If you've been following along, you know that I only wear my Racer Gloves when I ride unless it's too cold out. I love the feel of Kangaroo leather, it's unlike any other on your handgrips. If these ladies gloves follow the profile of the mens versions, then I'll say that they might have wider palms and slightly longer fingers than other Europeans including Revit, Alpinestars and Dainese. The last glove in their Spring lineup is the Sereena, $165. 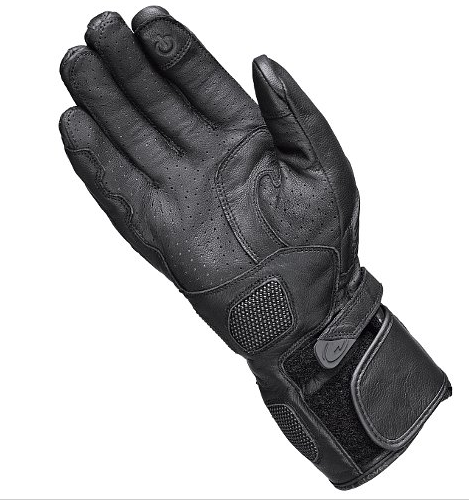 They're a solid leather glove for year roundish riding. They're not waterproof, not warm, just a middle weight glove that you would wear when it's not extremely hot or extremely cold. The perfect GoTo, as I like to call the one you wear the most. For the price, there's a lot of technical features going on here like Schoeller Keprotec, Sas-Tec Armor and Outlast. Those are awesome, but can't a woman at least get a Palm Slider for that much money? I would've skipped the Outlast and made sure there was at least SuperFabric on the palms (like the Evo Thrux) because you almost always need your gloves to perform right there. If I didn't have my palm sliders I probably wouldn't have a glove or palm left. Overall, I'm happy to see that more brands are bringing on better gear for us. There are a LOT of options for women right now but sadly, most of them are more average in protection and seem to be catering heavily to the casual/fashion based crowd. I hope to see more women look at better gear options so that they aren't asking themselves "What If" later. My favorite picks for summer women's motorcycle gloves no matter what type of motorcycle you ride. Women's motorcycle gloves fit differently for women's hands and today there are more options than ever before for real gloves that offer lots of protection. Racer Gloves have always been my favorite brand. I own four pairs that are over 5 years old because I have never found another glove to give me the same comfort and protection that I have come to love. Check out my first video overview of these gloves (as well as my first video review). Hope you enjoy, let me know what you think and look for more video reviews soon! A summer glove review in the winter? Why Not? I'm a little behind on this review, but if you're shopping for next season, or plan on riding somewhere tropical for the holidays, then check out my review of these awesome summer gloves. Really good women's gloves (with adequate protection) are fairly hard to come by. That's why I'm so excited to see these from Held make it to the US! I'm a HUGE fan of kangaroo palm riding gloves. My everyday gloves are my trusty Racer High Ends, which were discontinued long ago. I'm still hanging onto the two pairs I bought more than 4 years ago. I've always worn my Racers in warmer weather, even when it's 100F degrees out. They grip better than anything else I've worn when it's that hot. These new gloves from Held have perforated Kangaroo palms which are going to be AMAZING in the summer! The palm slider is constructed of SuperFabric, which has high abrasion resistant properties, which they clam is even stronger than Kevlar! 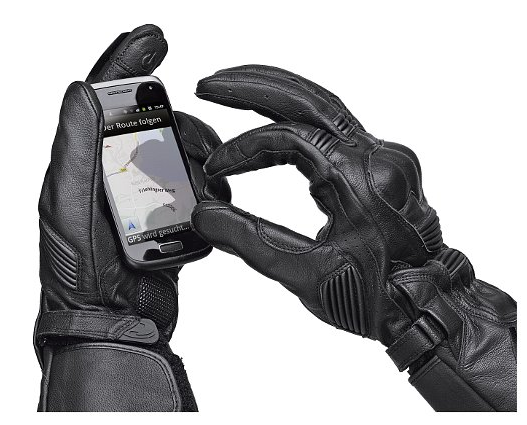 These gloves also feature a touch friendly pad on each index finger, for those of you who are navigating with your smartphones. You'll also notice the patented Held Visor Wiper on the left index finger as well. I like the multiple flex points where the accordion panels are; along the top of the wrist and knuckle, thumb and fingers. This makes squeezing your handgrips that much easier and more comfortable, so even if your fingers are reaching the ends of the glove, you know they won't fight you as you're riding. The sizing is numeric; 6/XSmall, 7/Small 8/Medium. If you have larger hands, then you will want to try the mens version offered from 8-12. Thank you Held for NOT dumbing down the ladies version of these gloves. We want and need the SAME protection as our male counterparts. And if you have tiny hands like I do, you'll love the size 6 option, which is one of the smallest sizes available for women. I'm hoping these have a similar fit to my Racers. Once I get find out I'll update my post! I cannot wait to get my hands on a pair of these for Spring. I just hope they fit as well as my Racers do! Racer Gloves finally has returned with true race gloves for women along 2 other options for street riding! High quality, protective, leather motorcycle gloves are hard to find for women riders these days. That's why I'm such a fan of Racer. I have 4 pairs of their gloves which I acquired 3-5 years ago. As soon a I heard they were discontinuing my favorites, I immediately purchased replacement pairs. I currently have 2 of the High End (below, older version of the High Racer) and 2 of the Multitop. The High Ends are my absolute favorite riding gloves, out of the ~6-8 pairs that I have. The first new model is the High Racer, in black and white for $219.99. Unfortunately you do not have any black options. These make for an excellent track / race glove and all around street riding glove. The High Racer, much like the older model has full kangaroo skin palms, palm And scaphoid sliders, carbon fiber protectors and an incredible fit and feel. The second, less expensive option is the Grip, for $159.99. 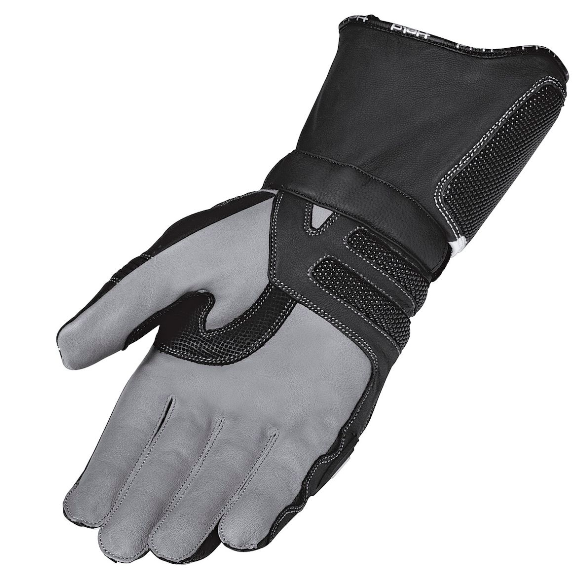 This glove is constructed of fully of goatskin, hard knuckle protectors and most likely a more relaxed street fit. This glove too is only available in sizes M-XL. Fingers crossed for XS, S! The third is a lightweight, waterproof glove, the Traveller, for $149.99 isn't insulated. Sometimes you need a waterproof glove, but you may not need a warm one. I should be getting a couple samples to check out in person. However, since I wear a XS/S, I doubt they will fit me. Who knows, maybe they will run smaller. I will update my post as soon as I receive them. As of right now, Racer has only made size Medium-XLarge available in all these models. Those Austrians just have no idea how much we need XS, S. Hopefully they will make some available soon. I know that Racer Gloves USA is fighting hard to get us these sorely needed sizes, but for the ladies who do need larger sized gloves you now have 3 killer options. This question came in from Glen who needs help with finding gloves. Let's see if I can help. 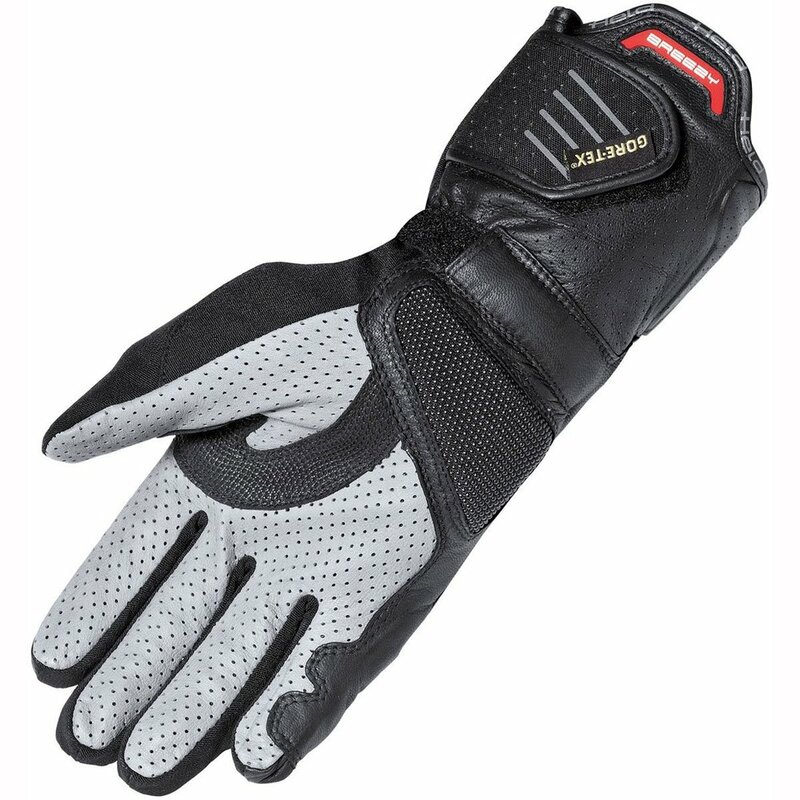 I'm looking for a summer weight waterproof ADV glove and not finding much luck.The main issue is I have wide hands with short fingers. I've tried Rukka, A-Star, Revit and Racer. The closest thing I have found is Klim in a size medium. I currently wear the Klim Caldera and Inversion pro. The mediums are very tight at first but once the leather breaks in, they are just about perfect. I really can't work with long fingers. These are available in short, however, at the time of this post, it seems that certain sizes are out of stock :(. (Sidenote, these are are actually great for women too, because if you have really small hands or long fingers, they're available in a 6/XS) and 7 long). Protection wise, they may not be what you're looking for but they're a nice all around glove. What's also nice is that the wrists are elastic, so that makes it easier to get in and out. Unfortunately not all of Held's gloves are available in short, just the Steve Classics. Otherwise if you want more protection, then I have to recommend Cortech or Tourmaster. The fits are fairly wide and and the fingers tend to be shorter as well. Saturday 9/14 is Cycle Gear's 5th Annual Moto Bash. I'll be working from 8am-4pm at the Racer Gloves booth to tell you allllll about how fabulous they are. Swing by and say hi! My 2 favorite pairs are made by Racer. They're based in Austria and the distributor, Racer Gloves USA is right here in the Bay Area in Morgan Hill, CA. Their gloves aren't as widely known as others on the same playing field but once you go kangaroo palms, you'll never go back. They offer a wide liner of gloves, including full race, street, summer and winter GORE-TEX. Recently they discontinued the best women's glove on the market, but it sounds like they'll have something new to release in the next year. Fingers crossed! They do offer gloves for women, including street and winter.